What a random game of mischief and fun!! Mugshots!! Unopened. Dated 1975. $30. 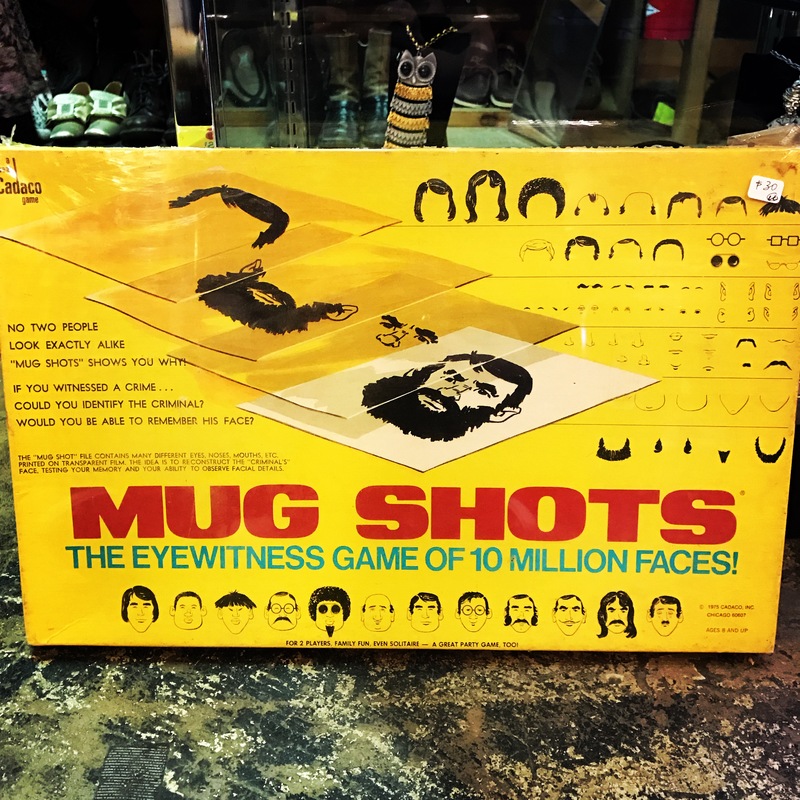 This entry was posted in games, Uncategorized and tagged dallas antiques, dallasgiftshop, dallasgiftstore, dallastoys, dallasuniquegifts, dallasvintagetoys by Gretchen. Bookmark the permalink.